I’m back from vacation and gotten back to my daily grind. After one shift at work, I’ve decided that it is already time for another holiday. Why is that first day back always so hard? I can’t even drink beer to cope because I’m trying to undo the damage that I did with a week of seafood buffets and booze. Luckily, “Beer Twitter” was actually pretty fun this week! Here’s all the shenanigans worth sharing. 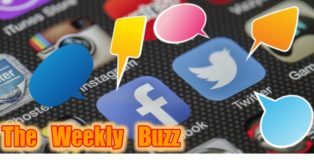 It’s The Weekly Buzz! If you love the freshness of spring, then you are definitely going to love all the fresh new breweries budding all over the Centennial state. 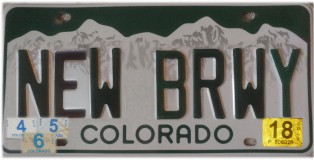 Thanks to our amazing friends at the Colorado Brewery List and the Colorado Beer Geek, we have a list of 42 Colorado brewery openings for April, May and June. This was one of those weeks that I allowed my day job to get in the way of my fun beer writing job. I really had to push my Twitter-scrolling finger past its safety limits to get this post out in time. While I grab an ice pack and a beer, you can check out this edition of The Weekly Buzz. We here at PorchDrinking hope that you spent this week’s holy days surrounded by friends, family and fine craft beers. April Fool’s Day is a sacred tradition that MUST be observed annually, so that we may keep our rich heritage of tomfoolery alive and vibrant. 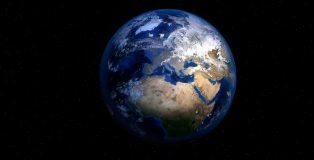 Without it, we would lose a large piece of what we are as a species. To that end, here is a celebration of nonsense and shenanigans. This is The Weekly Buzz. I had planned on writing something political this week. The urge to create a good old-fashioned doom-and-gloom post was almost undeniable, but it turns out that I don’t have the energy. There is simply no fuel left in my tank. We had a snowstorm on the second day of spring, which led to a lot of unwelcome shoveling. I had to replace the battery in my fiancee’s car (in the midst of the heaped-up snow). It’s just been one of those weeks. Here’s some stuff from Twitter and Instagram. I’ll be in bed drinking beer and enjoying my Weekly Buzz. Valentine’s Day has come and gone, but our undying love for craft beer shall live on forever. There is nothing more beautiful than malt, hops and yeast working together to birth a delicious brew. I’m getting a little teary eyed just thinking about it. Our team of hopeless romantics has sought out some truly tasty beers this week! This is What We’re Drinking! It’s high time that we discuss something very important. That thing is the NFC Conference Championship. The result was exactly as I thought it would be — a thorough shellacking of the Minnesota Viking by a vastly superior football team. Nick Foles led the Eagles to victory and will do so again in the Super Bowl. Philly loves to be the underdog, so keep underestimating them, Tom Brady! Oh… and I found some beer things on Twitter, too. This is the Weekly Buzz. Anyway… Here’s some stuff I found on Instagram and Twitter. So, which of you maniacs woke up ungodly early to hunt for Black Friday beer releases or discount video game consoles? I did neither. I went to my job and nursed my Thanksgiving hangover like a responsible grown up. With every passing minute, I grew more and more enraged by BCBS posts. First of all, I don’t really care what beer you bought, and, secondly, it’s just really fancy Budweiser. There’s no need to flood every beer forum with pictures of your “haul”. Anyway… Other things happened this week, too. Here they are in an all-new edition of The Weekly Buzz. It’s been another long, hot week. Not only that, but it was a busy week in the world of craft beer. GABF tickets went on sale, we celebrated National IPA Day and one of this country’s oldest craft breweries was bought by Sapporo. As the weekend creeps towards us, we all need to sit back, take a deep breath and enjoy a delicious beer. While you do that, feel free to peruse this week’s edition of The Weekly Buzz. Another week has flown by, and the PorchDrinkers have been enjoying lots of beers. So many beers. The best beers. Whether you’re looking for new brews to taste or wistfully dreaming away your last workday before the weekend, you’ll find what you seek right here. Lean back in your office chair, set your phone to “Do Not Disturb”, and prepare to discover What We’re Drinking. Through no fault of our own, we didn’t get to post What We’re Drinking last week. The opposition party believes that this was caused by a vast international conspiracy. Luckily, the chairman of the House Beer Blog Oversight Committee assures me that there is nothing to worry about and has canceled all future hearings on the matter. We should be in the clear, as long as Fake Tears over in the Senate doesn’t dig too deep into this. 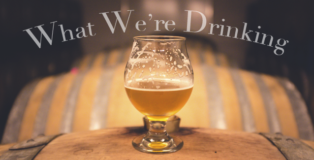 In order to wipe this minor oversight from your minds, I present a special two-week edition of What We’re Drinking. Fake news! Wednesday was International Women’s Day and breweries took to social media in droves to celebrate the women who make the brewing industry tick. Whether you’re talking about CEOs, janitors, brewers, bartenders, accountants or salespeople, the modern brewing industry wouldn’t be able to function without these brilliant and hardworking team members. Since I don’t think there’s any other news this important, I present you a special International Women’s Day Edition of The Weekly Buzz. The Winter Solstice has just past, and a few more holidays grow nearer, the PorchDrinkers seem to be setting their sights on bigger warmer beers to bring them cheer and warmth. Buried in this weeks selections, you will find new beers, old beers, barrel-aged beers, Bova-poses and fake Bova-poses. Grab your jingle bells, dump the egg nog down the drain, and sit in front of the Yule log. This is What We’re Drinking! It’s the most wonderful time of the year. That’s right! It’s time for all the winter blockbusters to be released into theaters near you! 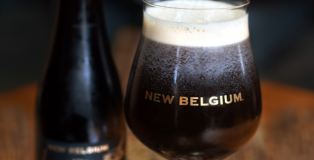 Whether you’re visiting a wizarding world or making a hyperspace jump to a galaxy far, far away, you can rejoice in the knowledge that many theaters now carry a selection of delicious craft beers. Pre-order some tickets, get a bucket of popcorn, and put your phone on vibrate. This is What We’re Drinking.